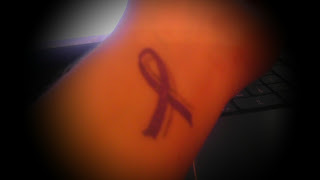 A purple ribbon on my wrist. I get asked all the time what the ribbon is for, so it has been a great way to spread awareness! !